Unhealthy and clogged arteries are often the primary causes of heart attacks, strokes, chest pain and sudden death. 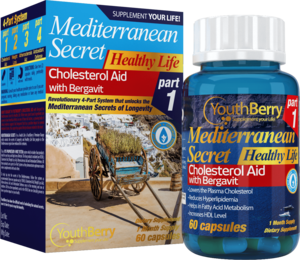 YouthBerry’s Artery Health Program protects your arteries from unhealthy plaque deposits with the help of 100% natural ingredients that help to maintain a healthy blood flow throughout the body. Niacin, also known as Vitamin B-3, promotes heart health, energy metabolism and nervous system health. 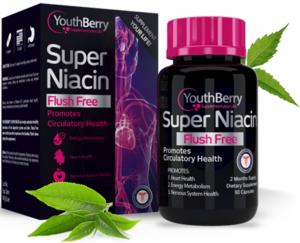 YouthBerry’s Super Niacin also helps maintain healthy functions of the digestive system and skin. Flush Free means that you don't experience the familiar 'flush' when using this supplement.